PPC advertising is one of the best ways to ensure exposure to the B2B marketing. It will also promote your products effectively to the target audience. 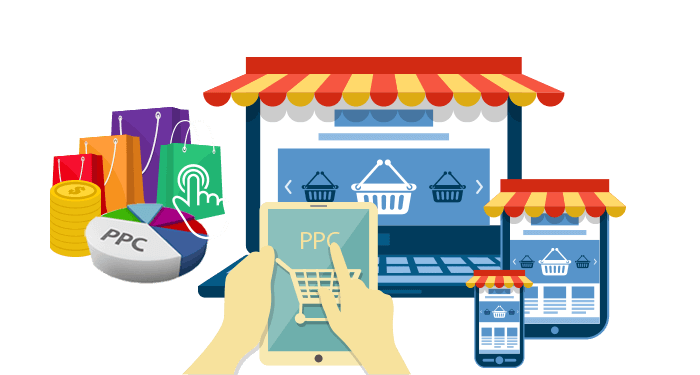 However, you need to follow the right strategies to achieve success with PPC advertising. These pages are known to have a great impact on lead generation efforts. Hence, it is important to optimize your landing pages and attract the right type of leads that fill out the details on the forms provided on landing pages. So make sure you use the accurate number of form fields. Also, create a custom landing page dedicated to individual ads that may enhance your conversions and ensure the best experience for users. Targeting only the right type of keywords is crucial. However, you may also adopt some other ways to filter out unwanted keywords that may not hold any relevance to your brand. In case, you have been receiving irrelevant clicks on one of your ads, simply place those keywords along the negative keywords. The process will inform search engines to not display ads for those keywords. Also, pay attention to keywords giving poor results. Add these to the negative keyword list. This will help you stop getting traffic through those searches. All of your efforts should be focused on keywords that give better opportunities for increasing leads. It really helps to find out which of the devices (tablet or mobile) can generate a number of opportunities and leads for your business so that you can target them consequently. Once you get to know about the platforms that aren’t performing well, stop the campaign on that specific device. This will help you focus on the best platform and convert more. Start thinking beyond traditional search ads. This is how you can attract high-quality leads. Use advanced features such as Facebook and Google Adwords. These offer retargeting options to reach your visitors in a more targeted way. Remarketing can help motivate visitors who failed to show willingness in buying initially. The option is helpful in directing your visitors up to the sales funnel. Another great option in this respect is content remarketing. It helps engage your leads via providing them varied offers. A number of PPC platforms also offer special features to match the audiences such as the Lookalike Audiences option on Facebook. Yes, these are very important to help you nurture leads and target prospects in a way to convert them. Social networks are great channels to establish conversations and target leads based precisely on their preferences/interests. You may even target prospects that had shown interest in purchasing products or services. These channels are usually deemed by most professional Pay Per Click companies as triggers for starting out great conversations and establishing email campaigns to produce targeted leads. Email drip campaigns are very helpful in increasing conversions significantly. This is because they can enhance audience engagement levels. Prospects can be sent messages and invitations to join a thought-provoking webinar on a favorite topic. These campaigns promise good click-through rates and ensure higher rates of conversions. In case, you are struggling for achieving high-quality leads, following the strategies mentioned above will help you get desired results for your B2B campaigns. The lead conversion rate depends on several factors such as resources, money, and time you are willing to invest towards achieving success in the PPC campaigns. Making appropriate decisions will definitely help you attract qualified leads and higher ROI. Do Small Business Need Technology?